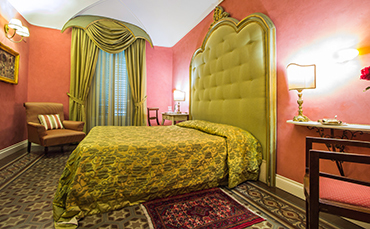 The Bed and Breakfast 4 Quarti is the right choice to discover Palermo with its artistic wonders and the gorgeous attractions of its historic centre. A wholehearted and friendly atmosphere combined with modern comfort and service, guarantee absolute tranquility and privacy while traveling to work, study or pleasure. 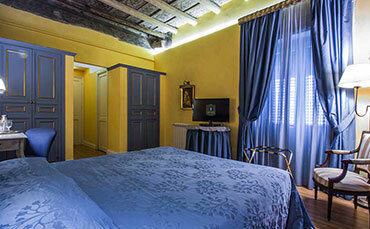 The rooms are furnished with antiques belonging to the House and refined fabrics provide the unique match of historic charm and the comfort of modern hospitality. 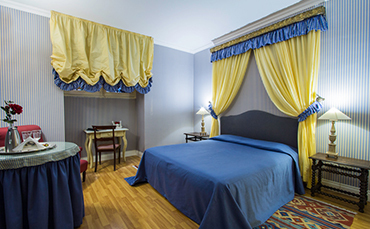 The rooms are all equipped with a private individual bathroom, TV, heating, air conditioning, free Wi-FI Internet, safe box, and complimentary toiletries. 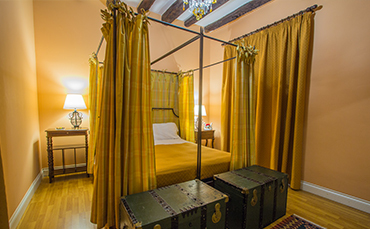 The alcove, from the Arabic al-qubba, is the room dedicated to the tender intimacy, as in the Renaissance, this room has been lavishly decorated to create a pleasant atmosphere for our guests, to find themselves in a love nest.